Starseeds are simply those people who either have been awakened to Spirit or have bloodlines from ancient days which connect them to visitors from the stars. There are people of Starseed origin that are just people. 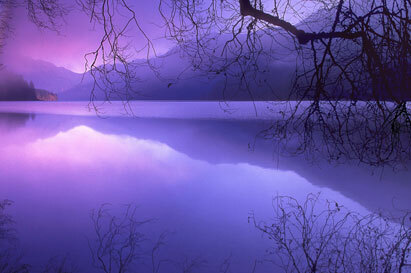 They may have more insight and longing for things of spiritual nature, and a deep respect for the creation. 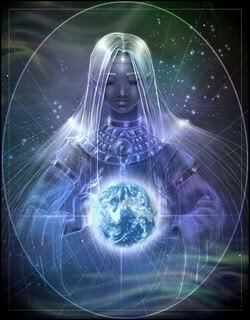 As there are different races of people, and differing ranks of spirits, so also are there different types of Starseeds. There are those of unions with higher dimensional beings, those of unions with angelic spirit beings, and those of unions with reptillian beings: these latter often being bred through genetic manipulation in secret experiments using technology and genetic information taught by reptillians. True Starseeds in harmony with the Creator exhibit certain personality traits and manifestation of powers inherited from their ancestors. There are many lists of Starseed traits made by people suspecting such a heritage, but these often have combined the traits of all type of Starseed, including those traits inherint in reptillians. 6) A memory or memories of a profound experience around the ages 5 to 9, usually having something to do with "aliens," UFO's, or stars. This could also include spiritual visions of earth creatures or people. 8) Having an "imaginary" childhood friend that seemed to speak of its own accord, as if they were a separate entity. This sometimes continues into adulthood. 10) Accute hearing/above average hearing range. 11) Extreme sensitivity to excessive or clamourous noise. 12) A driving need to get away from "normal" people to either be alone, or seek out someone who shares your interests in spiritual matters. 13) An inner desire and knowing to "do what is right" even though these things were not taught, but often feeling trapped as a child and expressing ones self in ways that are troubling to others. 16) Creating within ones own mind "fantasy" worlds that often include alien life, journeys to other planets, and places beyond the stereotypical "fantasies" of earth. 21) Having a desire to try to "save the world" or straiten out problems in the world. 22) A solid beleif that there is an all-powerfull, all-knowing deity, even though you may not have been taught about "God." 31) A special attraction to cats - all cats seem to be your friend. 33) Aversion to city living - strong desire to live in a rural and natural environment. 34) Knowing something is gravely wrong with society without having this knowledge preached to you by doomsday prophets, or conspiracy theorists - you see it yourself and evaluate it within your own mind. 42) Aversion to either extreme male dominant religion or extreme female dominant religion - knowing there is a balance. 45) Being an avid reader who "drinks in" knowledge quicker than the "average" person. 50) A nagging suspicion that you are more than your parents offspring, that you have some unfulfilled mission, and that the implications of these matters have powerful and eternal consequeces for both yourself and the Earth. If you can answer "yes" to even half of these, there is a good chance you are Starseed. If you have answered 35 or more of these in the affirmative, you most likely are Starseed, especially if you answer "yes" to some of the deeper traits, such as those in numbers 6, 22 to 27, 29, 42, and 50. The influences of the Pleiades was known to the ancient peoples of Earth. The seven stars, the seven sisters as they were named - though a small cluster in the night sky, were perceived as being much more than a few small stars in the myriad of lights above. Ancient people knew the Truth and expressed it. We have always been messengers, a rank of "angels" - though not the higher ranked angels. Some of us have not always been obedient to the absolute Truth, and have been both misled and have misled.